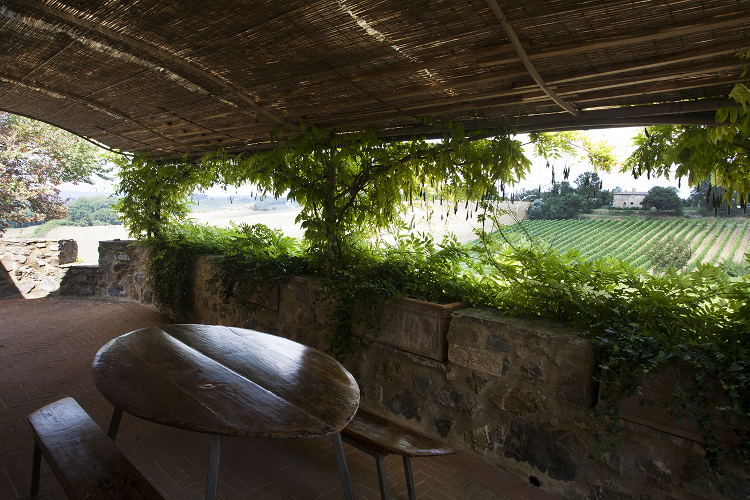 Paradiso di Frassina, prestigious Italian winery famous for the vineyards listening to Mozart's music, offers accommodation in 2 charming holiday apartments in Montalcino, in the heart of Tuscany, in the idyllic countryside of the Val d'Orcia. 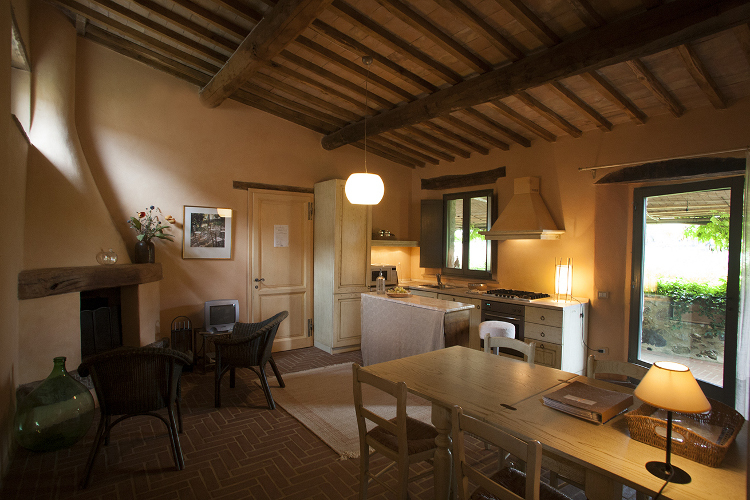 The 2 apartments, Focolare and Nido, are furnished in rustic style and fully equipped with all comforts, to make your stay even more pleasant. That’s the perfect place to relax, listening to Mozart’s melodies and enjoying a glass of Brunello wine, aboard the wonderful infinity pool overlooking the vineyards. 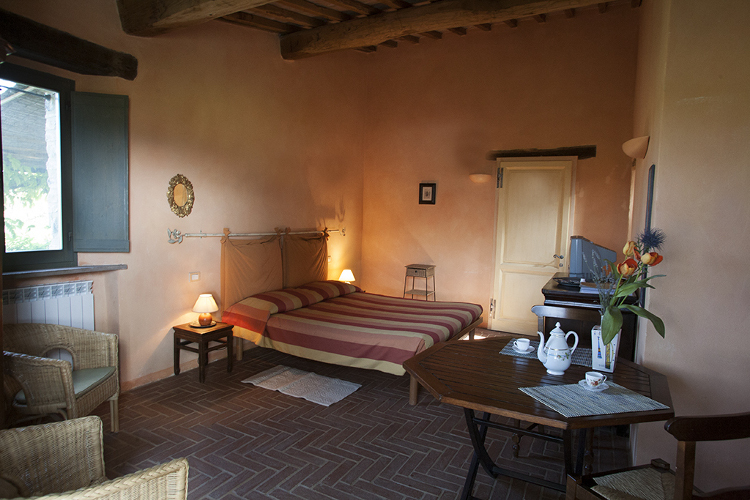 € 50,00 per person per night + 0,70 City Tax person/day (only for the first 04 nights). 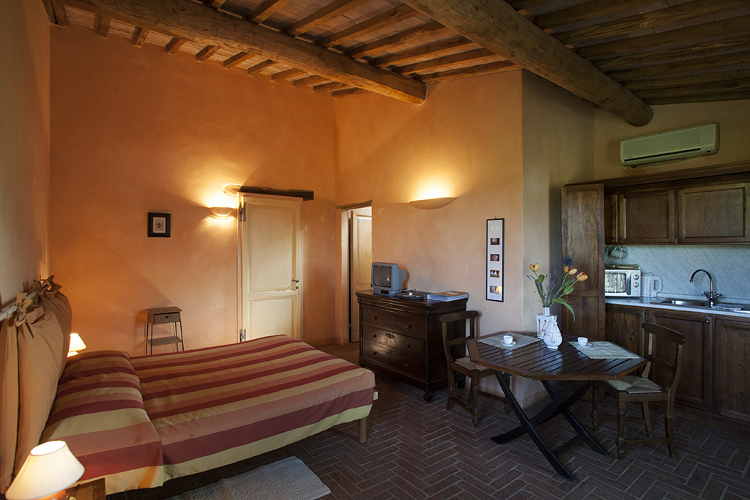 02 nights Minimum stay. Please contact us longer stays. Children from 0 to 5 years old are free, children from 6 to 12 years old pay 50%. The price includes the consumption of electricity, water and gas and the use of the swimming pool. 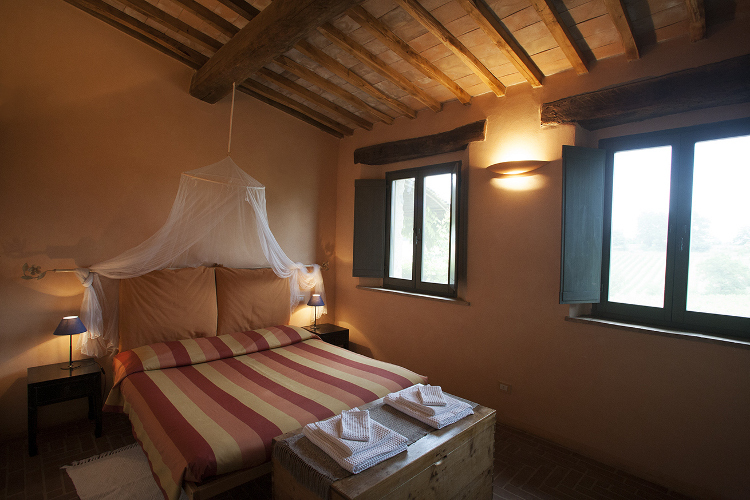 Booking: 30% deposit with Visa and Mastercard, by email or phone, or Bank wire transfer. You will receive email copy of the transaction. Balance on site: cash, bancomat, credit card. 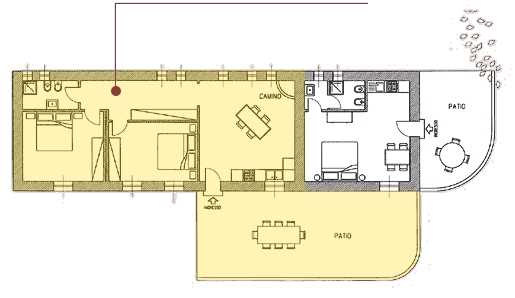 A large and comfortable apartment (80 sq.m.) 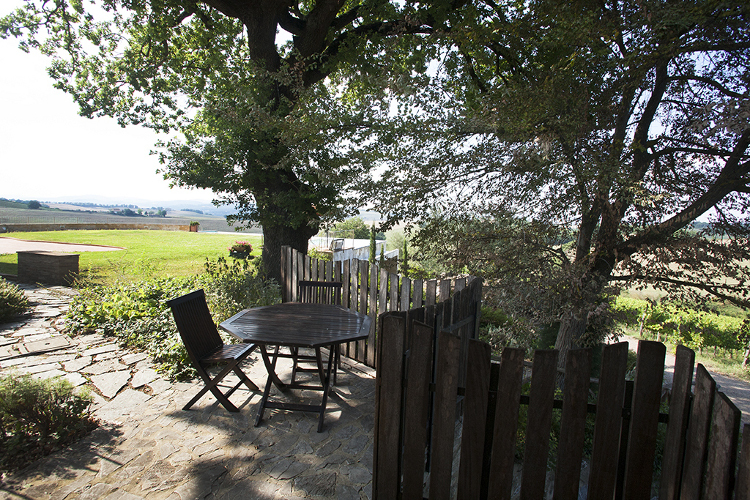 for up to 4 guests with private terrace overlooking the vineyards; 2 double bedrooms; bathroom with shower (washing machine included); living room with fully furnished kitchen (electric oven, five rings gas stove, electric kettle, microwave oven, fridge, freezer, dishwasher); open fireplace. Intimate open space (35 sq.m.) 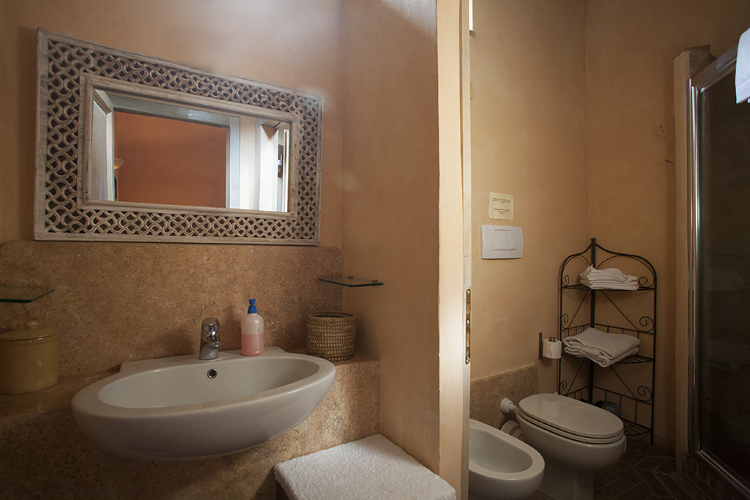 for 2 guests with private terrace; double bed; bathroom with shower; living room and cooking area (2 rings gas stove, electric oven, dishwasher). 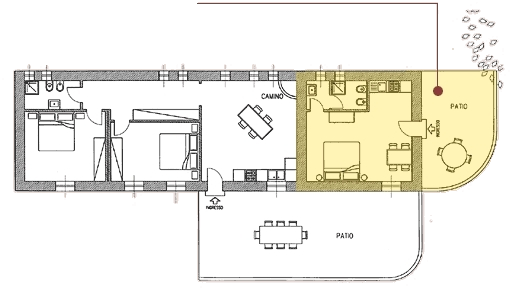 Focolare and Nido apartments may be put in communication to have a larger apartment. To make a booking request fill out the form below.